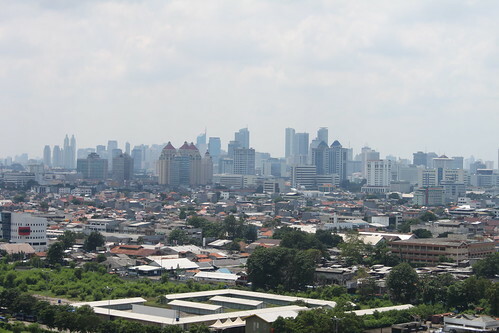 Jakarta's skyline , originally uploaded by Deden Rukmana. The Jakarta administration has been preparing the 2030 Jakarta spatial plan, an important and comprehensive document for shaping the future of Jakarta, since February 2008. A team consisting of many experts in urban planning and development was appointed for preparing an academic draft of the 2030 Jakarta spatial plan. A variety of ways to seeking input from residents and stakeholders have been conducted from April 2009 to October 2009 including road shows to the districts, technical consultations with related institutions in the national and provincial levels and focus group discussions in six districts in Jakarta. A website was also launched in December 2009 to publicize the 2030 Jakarta spatial plan and seek input from public. Is the planning process of the 2030 Jakarta spatial plan sufficient to produce a valid plan for shaping Jakarta in the next 20 years? The objections to the 2030 Jakarta spatial plan from several organizations in Jakarta are the answer of the above question. 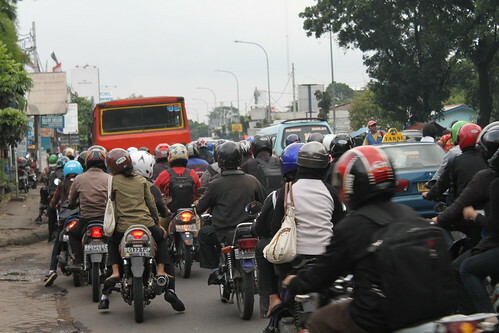 The 2030 Jakarta spatial plan is not a valid plan yet. WALHI (The Indonesian Forum for Environment) and 28 other NGOs in Jakarta opposed the 2030 Jakarta spatial plan and will offer an alternative plan to be submitted to the City Council. They formed an alliance called Jaringan Masyarakat Sipil untuk Tata Ruang Jakarta 2030 (the network of civil society for the 2030 Jakarta spatial plan) and argued that the Jakarta 2030 spatial plan pays less attention to the poor people and the environmental sustainability. The Citizens Coalition for Jakarta 2030, an organization formed in December 2009 by several concerned Jakarta residents, also raised objections to the planning process of the 2030 Jakarta spatial plan including the lack of citizen participation. The coalition has held several public discussions, launched a website and a group in Facebook and conducted public opinion surveys to aggressively seek input from residents. The objections to the 2030 Jakarta spatial plan illustrate that the planning practice in the 21st century is facing greater challenges than that in the 20th century. Ten years ago or even 25 years ago, there were very few objections to the spatial plans from the residents when the Jakarta administration prepared the 2005-2010 and the 1985-2005 Jakarta spatial plans. The planning practice in the 21st century is dealing with pluralism and communities characterized by fragmented power and distrust of government and experts. Pejaten Timur, originally uploaded by Deden Rukmana. The planning practice in plural communities is no longer exclusively concerned with comprehensive, integrated, and coordinated action, but more negotiated, political, and focused planning. This in turn makes in less document-oriented and more people centered. In the 21st century, there are only multiple narratives, a multiplicity of language games that are locally determined, none of which can be reconciled across speakers and all of which must be allowed their existence. The knowledge is not necessarily a reliable guide to effective action. Increased understanding can only reveal differences, not set direction. To this extent, the important thing is not causality –cause and effect relations- but meaning. Local communities have experimental, grounded, contextual, intuitive knowledge, which are manifested through speech, songs, stories, and various visual forms rather than the more familiar kinds of planning sources such as census data, and simulation model. Planners in the 21st century have to learn to access these other ways of knowing. The planning practice in the 21st century calls for community-based planning. It would replace the reliance on state-directed futures and top-down processes. Citizen participation can lead to better public policy. Through such selfish participation, the government is informed of these interests and pressured to respond. In this way, it produces public goods more closely attuned to citizen needs than it would if there were no participation. In many American cities, a comprehensive plan is prepared in more than 3 years. There is a visioning, a process by which a community defines the future it wants through an extensive public involvement. Many communities develop a vision at the beginning of the planning process and the citizen input becomes meaningful. Stakeholders should have faith in the value of public dialogue. The extensive public involvement can include broad-based advisory committees, community-wide public opinion survey, town hall meetings, information in mass media including TV, radio, and newspaper, community leadership training, public hearing, and information through the internet. Visioning can add to the cost of the planning process, but it can serve as a catalyst that can bring city residents together to discuss about their future in new ways. Motorcycles, originally uploaded by Deden Rukmana. Indonesian cities could learn from the American cities to involve more city resident inputs in the making of comprehensive plans. Public involvement in a comprehensive plan is not an easy task, but it is not impossible to accomplish. The academic draft of the 2030 spatial plan that has been prepared by the experts in nearly two years but lacks public involvement should be revisited. 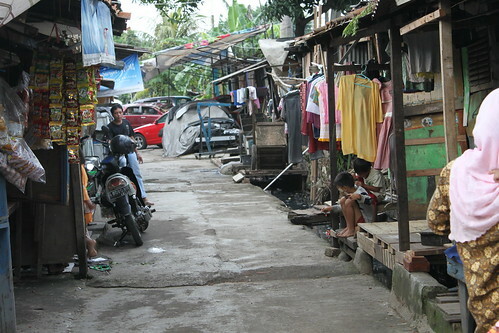 The Jakarta administration needs to be more actively seeking input from the residents. The City Council should not rush to pass the draft of the 2030 spatial plan into law. The objections from the NGOs and social organizations must be heard and taken into consideration for the revisions of the 2030 Jakarta spatial plan. thank you for your blog. I find it very interesting and it addresses the main topics that are central to the development of jakarta, and indonesia. however, I find this post a bit contradictory. I see the government process for participatory development is the clear missing link for successful development and improved public services. but what they are trying to achieve with this spatial planning actually gives me hope rather than a reason for consternation. this is actually the first time I have seen a planning process by government at this scale that even tries to reach out to the larger community. to get the process right will take years, but at least this is a start, no? Good post and this enter helped me alot in my college assignement. Thank you on your information.